Deep Strength has had a number of excellent posts in the last week. In deciding whether to respond to them or not, I was prompted search scripture as a foundation for any future posts. I would first recommend reading his post on the purpose of prayer, as it is an excellent place to start with scripture. so are shapely legs and steadfast feet. These verses compare a woman’s beauty with the beauty of God’s temple. Since admiring the beauty of God’s temple isn’t shallow, and female beauty is compared to that of God’s temple, I dare say it it isn’t shallow to value beauty in a woman, either. and there is nothing he desires more. Don’t see anything about beauty and shallowness there. And of course, Proverbs goes so far as to remind men to enjoy the beauty of their wife, and to find satisfaction there (and not elsewhere). If one carefully examines Scripture, you can see that most of the “warnings” about beauty aren’t that it is shallow, but that it can entrap the unwary man should he be blinded by the beauty of a wicked woman. Proverbs 31 also has the additional reminder that it is fleeting; a reminder which encourages men to look for something longer lasting- fear of the Lord. Many of the holy women in the Old Testament are reckoned as beautiful, and that is never held against them. In his next post, The three big elephants in the Christian dating and marriage room, DS examines the issues of attraction, the feminization of the church, and the lack of mentorship. The latter two deserve a full post, so I will address solely attraction. Specifically, I wanted to reiterate my statement earlier that many of the holy women in the Old Testament were recognized as beautiful. That was clearly something important. But men too received recognition for things that rendered them attractive. 5 From the time that he made him overseer in his house and over all that he had, the Lord blessed the Egyptian’s house for Joseph’s sake; the blessing of the Lord was on all that he had, in house and field. 6 So he left all that he had in Joseph’s charge; and, with him there, he had no concern for anything but the food that he ate. Now Joseph was handsome and good-looking. Now Naomi had a kinsman on her husband’s side, a prominent rich man, of the family of Elimelech, whose name was Boaz. Both Money/wealth and Status make a more more sexually attractive. Here they favored Boaz, who married the widowed Ruth. Sadly, such details as I’ve highlighted before are not merely taken for granted, but overlooked in the modern Church. No good has come of it. 12 Are you seated at the table of the great? 13 Remember that a greedy eye is a bad thing. What has been created more greedy than the eye? Therefore it sheds tears for any reason. 19 How ample a little is for a well-disciplined person! He does not breathe heavily when in bed. he rises early, and feels fit. and colic are with the glutton. Our bodies do not belong to us. They belong to God, as does all things. We must take care of them , or else we might suffer the fate of the wicked servant from Matthew 25. Yaropolk Izyaslavich (died 1087) was a Knyaz (prince) during the eleventh-century in the Kievan Rus’ kingdom and was the King of Rus (1076–1078). The son of Grand Prince Izyaslav Yaroslavich by a Polish princess named Gertruda, he is visible in papal sources by the early 1070s but largely absent in contemporary Rus sources until his father’s death in 1078. During his father’s exile in the 1070s, Yaropolk can be found acting on his father’s behalf in an attempt to gain the favor of the German emperors and the papal court of Pope Gregory VII. His father returned to Kiev in 1077 and Yaropolk followed. After his father’s death Yaropolk was appointed Prince of Volhynia and Prince of Turov in 1078 by the new Grand Prince, his uncle Vsevolod. By 1085 Yaropolk had fallen into a state of enmity with the Grand Prince, and by extension the Grand Prince’s son Vladimir Monomakh, forcing him to flee to Poland, his mother’s homeland. He returned in 1086 and made peace with Monomakh but was murdered the same year on a journey to Zvenyhorod. He was remembered in Rus sources as extremely pious and generous to the church and is recognized as a saint in the Eastern Orthodox Church. More can be learned about him at his wiki, located here. Who has believed our report? And to whom is the arm of the Lord revealed?…He is brought as a lamb to the slaughter, etc. 1. Every deed of Christ is a cause of glorying to the Catholic Church, but her greatest of all glorying is in the Cross; and knowing this, Paul says, But God forbid that I should glory, save in the Cross of Christ. Galatians 6:14 For wondrous indeed it was, that one who was blind from his birth should receive sight in Siloam ; but what is this compared with the blind of the whole world? A great thing it was, and passing nature, for Lazarus to rise again on the fourth day; but the grace extended to him alone, and what was it compared with the dead in sins throughout the world? Marvellous it was, that five loaves should pour forth food for the five thousand; but what is that to those who are famishing in ignorance through all the world? It was marvellous that she should have been loosed who had been bound by Satan eighteen years: yet what is this to all of us, who were fast bound in the chains of our sins? But the glory of the Cross led those who were blind through ignorance into light, loosed all who were held fast by sin, and ransomed the whole world of mankind. 2. And wonder not that the whole world was ransomed; for it was no mere man, but the only-begotten Son of God, who died on its behalf. Moreover one man’s sin, even Adam’s, had power to bring death to the world; but if by the trespass of the one death reigned over the world, how shall not life much rather reign by the righteousness of the One Romans 5:17-18? And if because of the tree of food they were then cast out of paradise, shall not believers now more easily enter into paradise because of the Tree of Jesus? If the first man formed out of the earth brought in universal death, shall not He who formed him out of the earth bring in eternal life, being Himself the Life? If Phinees, when he waxed zealous and slew the evil-doer, staved the wrath of God, shall not Jesus, who slew not another, but gave up Himself for a ransom 1 Timothy 2:6, put away the wrath which is against mankind? 3. Let us then not be ashamed of the Cross of our Saviour, but rather glory in it. For the word of the Cross is unto Jews a stumbling-block, and unto Gentiles foolishness, but to us salvation: and to them that are perishing it is foolishness, but unto us which are being saved it is the power of God. For it was not a mere man who died for us, as I said before, but the Son of God, God made man. Further; if the lamb under Moses drove the destroyer Exodus 12:23 far away, did not much rather the Lamb of God, which takes away the sin of the world John 1:29, deliver us from our sins? The blood of a silly sheep gave salvation; and shall not the Blood of the Only-begotten much rather save? If any disbelieve the power of the Crucified, let him ask the devils; if any believe not words, let him believe what he sees. Many have been crucified throughout the world, but by none of these are the devils scared; but when they see even the Sign of the Cross of Christ, who was crucified for us, they shudder. For those men died for their own sins, but Christ for the sins of others; for He did no sin, neither was guile found in His mouth. It is not Peter who says this, for then we might suspect that he was partial to his Teacher; but it is Esaias who says it, who was not indeed present with Him in the flesh, but in the Spirit foresaw His coming in the flesh. Yet why now bring the Prophet only as a witness? Take for a witness Pilate himself, who gave sentence upon Him, saying, I find no fault in this Man Luke 23:14: and when he gave Him up, and had washed his hands, he said, I am innocent of the blood of this just person. Matthew 27:24 There is yet another witness of the sinlessness of Jesus—the robber, the first man admitted into Paradise; who rebuked his fellow, and said, We receive the due reward of our deeds; but this man has done nothing amiss ; for we were present, both you and I, at His judgment. 4. Jesus then really suffered for all men; for the Cross was no illusion , otherwise our redemption is an illusion also. His death was not a mere show , for then is our salvation also fabulous. If His death was but a show, they were true who said, We remember that that deceiver said, while He was yet alive, After three days I rise again. Matthew 27:63 His Passion then was real: for He was really crucified, and we are not ashamed thereat; He was crucified, and we deny it not, nay, I rather glory to speak of it. For though I should now deny it, here is Golgotha to confute me, near which we are now assembled; the wood of the Cross confutes me, which was afterwards distributed piecemeal from hence to all the world. I confess the Cross, because I know of the Resurrection; for if, after being crucified, He had remained as He was, I had not perchance confessed it, for I might have concealed both it and my Master; but now that the Resurrection has followed the Cross, I am not ashamed to declare it. 5. Being then in the flesh like others, He was crucified, but not for the like sins. For He was not led to death for covetousness, since He was a Teacher of poverty; nor was He condemned for concupiscence, for He Himself says plainly, Whosoever shall look upon a woman to lust after her, has committed adultery with her already Matthew 5:28; not for smiting or striking hastily, for He turned the other cheek also to the smiter; not for despising the Law, for He was the fulfiller of the Law; not for reviling a prophet, for it was Himself who was proclaimed by the Prophets; not for defrauding any of their hire, for He ministered without reward and freely; not for sinning in words, or deeds, or thoughts, He who did no sin, neither was guile found in His mouth; who when He was reviled, reviled not again; when He suffered, threatened not 1 Peter 2:22-23; who came to His passion, not unwillingly, but willing; yea, if any dissuading Him say even now, Be it far from You, Lord, He will say again, Get behind Me, Satan Matthew 16:22-23 . 6. And would you be persuaded that He came to His passion willingly? Others, who foreknow it not, die unwillingly; but He spoke before of His passion: Behold, the Son of man is betrayed to be crucified. But do you know wherefore this Friend of man shunned not death? It was lest the whole world should perish in its sins. Behold, we go up to Jerusalem, and the Son of man shall be betrayed, and shall be crucified ; and again, He steadfastly set His face to go to Jerusalem. Luke 9:5 And would you know certainly, that the Cross is a glory to Jesus? Hear His own words, not mine. Judas had become ungrateful to the Master of the house, and was about to betray Him. Having but just now gone forth from the table, and drunk His cup of blessing, in return for that drought of salvation he sought to shed righteous blood. He who did eat of His bread, was lifting up his heel against Him ; his hands were but lately receiving the blessed gifts , and presently for the wages of betrayal he was plotting His death. And being reproved, and having heard that word, You have said Matthew 26:25, he again went out: then said Jesus, The hour has come, that the Son of man should be glorified. John 12:23 Do you see how He knew the Cross to be His proper glory? What then, is Esaias not ashamed of being sawn asunder , and shall Christ be ashamed of dying for the world? Now is the Son of man glorified. John 13:31 Not that He was without glory before: for He was glorified with the glory which was before the foundation of the world. He was ever glorified as God; but now He was to be glorified in wearing the Crown of His patience. He gave not up His life by compulsion, nor was He put to death by murderous violence, but of His own accord. Hear what He says: I have power to lay down My life, and I have power to take it again : I yield it of My own choice to My enemies; for unless I chose, this could not be. He came therefore of His own set purpose to His passion, rejoicing in His noble deed, smiling at the crown, cheered by the salvation of mankind; not ashamed of the Cross, for it was to save the world. For it was no common man who suffered, but God in man’s nature, striving for the prize of His patience. 7. But the Jews contradict this , ever ready, as they are, to cavil, and backward to believe; so that for this cause the Prophet just now read says, Lord, who has believed our report Isaiah 52:15? Persians believe , and Hebrews believe not; they shall see, to whom He was not spoken of, and they that have not heard shall understand , while they who study these things shall set at nought what they study. They speak against us, and say, Does the Lord then suffer? What? Had men’s hands power over His sovereignty? Read the Lamentations; for in those Lamentations, Jeremias, lamenting you, wrote what is worthy of lamentations. He saw your destruction, he beheld your downfall, he bewailed Jerusalem which then was; for that which now is Galatians 4:25 shall not be bewailed; for that Jerusalem crucified the Christ, but that which now is worships Him. Lamenting then he says, The breath of our countenance, Christ the Lord was taken in our corruptions. Am I then stating views of my own? Behold he testifies of the Lord Christ seized by men. And what is to follow from this? Tell me, O Prophet. He says, Of whom we said, Under His shadow we shall live among the nations. Ibid For he signifies that the grace of life is no longer to dwell in Israel, but among the Gentiles. 8. But since there has been much gainsaying by them, come, let me, with the help of your prayers, (as the shortness of the time may allow,) set forth by the grace of the Lord some few testimonies concerning the Passion. For the things concerning Christ are all put into writing, and nothing is doubtful, for nothing is without a text. All are inscribed on the monuments of the Prophets; clearly written, not on tablets of stone, but by the Holy Ghost. Since then you have heard the Gospel speaking concerning Judas, ought you not to receive the testimony to it? You have heard that He was pierced in the side by a spear; ought you not to see whether this also is written? You have heard that He was crucified in a garden; ought you not to see whether this also is written? You have heard that He was sold for thirty pieces of silver; ought you not to learn what prophet spoke this? You have heard that He was given vinegar to drink; learn where this also is written. You have heard that His body was laid in a rock, and that a stone was set over it; ought you not to receive this testimony also from the prophet? You have heard that He was crucified with robbers; ought you not to see whether this also is written? You have heard that He was buried; ought you not to see whether the circumstances of His burial are anywhere accurately written? You have heard that He rose again; ought you not to see whether we mock you in teaching these things? For our speech and our preaching is not in persuasive words of man’s wisdom. We stir now no sophistical contrivances; for these become exposed; we do not conquer words with words , for these come to an end; but we preach Christ Crucified 1 Corinthians 1:23, who has already been preached aforetime by the Prophets. But do thou, I pray, receive the testimonies, and seal them in your heart. And, since they are many, and the rest of our time is narrowed into a short space, listen now to a few of the more important as time permits; and having received these beginnings, be diligent and seek out the remainder. Let not your hand be only stretched out to receive, but let it be also ready to work. God gives all things freely. For if any of you lack wisdom, let him ask of God who gives James 1:5, and he shall receive. May He through your prayer grant utterance to us who speak, and faith to you who hear. 9. Let us then seek the testimonies to the Passion of Christ: for we are met together, not now to make a speculative exposition of the Scriptures, but rather to be certified of the things which we already believe. Now you have received from me first the testimonies concerning the coming of Jesus; and concerning His walking on the sea, for it is written, Your way is in the sea. Also concerning various cures you have on another occasion received testimony. Now therefore I begin from whence the Passion began. Judas was the traitor, and he came against Him, and stood, speaking words of peace, but plotting war. Concerning him, therefore, the Psalmist says, My friends and My neighbours drew near against Me, and stood. And again, Their words were softer than oil, yet be they spears. Hail, Master Matthew 26:49; yet he was betraying his Master to death; he was not abashed at His warning, when He said, Judas, betrayest than the Son of Man with a kiss Luke 22:48? For what He said to him was just this, Recollect your own name; Judas means confession ; you have covenanted, you have received the money, make confession quickly. O God, pass not over My praise in silence; for the mouth of the wicked, and the mouth of the deceitful, are opened against Me; they have spoken against Me with a treacherous tongue, they have compassed Me about also with words of hatred. But that some of the chief-priests also were present, and that He was put in bonds before the gates of the city, you have heard before, if you remember the exposition of the Psalm, which has told the time and the place; how they returned at evening, and hungered like dogs, and encompassed the city. 10. Listen also for the thirty pieces of silver. And I will say to them, If it be good in your sight, give me my price, or refuse Zechariah 11:12, and the rest. One price is owing to Me from you for My healing the blind and lame, and I receive another; for thanksgiving, dishonour, and for worship, insult. Do you see how the Scripture foresaw these things? And they weighed for My price thirty pieces of silver. Ib How exact the prophecy! How great and unerring the wisdom of the Holy Ghost! For he said, not ten, nor twenty, but thirty, exactly as many as there were. Tell also what becomes of this price, O Prophet! Does he who received it keep it? Or does he give it back? And after he has given it back, what becomes of it? The Prophet says then, And I took the thirty pieces of silver, and cast them into the house of the Lord, into the foundry. Compare the Gospel with the Prophecy: Judas, it says, repented himself, and cast down the pieces of silver in the temple, and departed. 11. But now I have to seek the exact solution of this seeming discrepancy. For they who make light of the prophets, allege that the Prophet says on the one hand, And I cast them into the house of the Lord, into the foundry, but the Gospel on the other hand, And they gave them for the potter’s field. Hear then how they are both true. For those conscientious Jews forsooth, the high-priests of that time, when they saw that Judas repented and said, I have sinned, in that I have betrayed innocent blood, reply, What is that to us, see thou to that. Is it then nothing to you, the crucifiers? But shall he who received and restored the price of murder see to it, and shall you the murderers not see to it? Then they say among themselves, It is not lawful to cast them into the treasury, because it is the price of blood. Out of your own mouths is your condemnation; if the price is polluted, the deed is polluted also: but if you are fulfilling righteousness in crucifying Christ, why do you not receive the price of it? But the point of iniquity is this: how is there no disagreement, if the Gospel says, the potter’s field, and the Prophet, the foundry? Nay, but not only people who are goldsmiths, or brass-founders, have a foundry, but potters also have foundries for their clay. For they sift off the fine and rich and useful earth from the gravel, and separate from it the mass of the refuse matter, and temper the clay first with water, that they may work it with ease into the forms intended. Why then do you wonder that the Gospel says plainly the potter’s field, whereas the Prophet spoke his prophecy like an enigma, since prophecy is in many places enigmatical? 12. They bound Jesus, and brought Him into the hall of the High-priest. And would you learn and know that this also is written? Esaias says, Woe unto their soul, for they have taken evil counsel against themselves, saying, Let us bind the Just, for He is troublesome to us. And truly, Woe unto their soul! Let us see how Esaias was sawn asunder, yet after this the people was restored. Jeremias was cast into the mire of the cistern, yet was the wound of the Jews healed; for the sin was less, since it was against man. But when the Jews sinned, not against man, but against God in man’s nature, Woe unto their soul!— Let us bind the Just; could He not then set Himself free, some one will say; He, who freed Lazarus from the bonds of death on the fourth day, and loosed Peter from the iron bands of a prison? Angels stood ready at hand, saying, Let us burst their bands in sunder ; but they hold back, because their Lord willed to undergo it. Again, He was led to the judgment-seat before the Elders; you have already the testimony to this, The Lord Himself will come into judgment with the ancients of His people, and with the princes thereof Isaiah 3:14 . 13. But the High-priest having questioned Him, and heard the truth, is angry; and the wicked officer of wicked men smites Him; and the countenance, which had shone as the sun, endured to be smitten by lawless hands. Others also come and spit on the face of Him, who by spittle had healed the man who was blind from his birth. Do ye thus requite the Lord? This people is foolish and unwise. Deuteronomy 32:6 And the Prophet greatly wondering, says, Lord, who has believed our report Isaiah 53:1? For the thing is incredible, that God, the Son of God, and the Arm of the Lord Ibid, should suffer such things. But that they who are being saved may not disbelieve, the Holy Ghost writes before, in the person of Christ, who says, (for He who then spoke these things, was afterward Himself an actor in them,) I gave My back to the scourges; (for Pilate, when he had scourged Him, delivered Him to be crucified 😉 and My cheeks to smitings; and My face I turned not away from the shame of spittings; saying, as it were, Though knowing before that they will smite Me, I did not even turn My cheek aside; for how should I have nerved My disciples against death for truth’s sake, had I Myself dreaded this? I said. He that loves his life shall lose it John 12:25: if I had loved My life, how was I to teach without practising what I taught? First then, being Himself God, He endured to suffer these things at the hands of men; that after this, we men, when we suffer such things at the hands of men for His sake, might not be ashamed. You see that of these things also the prophets have clearly written beforehand. Many, however, of the Scripture testimonies I pass by for want of time, as I said before; for if one should exactly search out all, not one of the things concerning Christ would be left without witness. 14. Having been bound, He came from Caiaphas to Pilate—is this too written? yes; And having bound Him, they led Him away as a present to the king of Jarim. But here some sharp hearer will object, Pilate was not a king, (to leave for a while the main parts of the question,) how then having bound Him, led they Him as a present to the king? But read the Gospel; When Pilate heard that He was of Galilee, he sent Him to Herod Luke 23:6-7; for Herod was then king, and was present at Jerusalem. And now observe the exactness of the Prophet; for he says, that He was sent as a present; for the same day Pilate and Herod were made friends together, for before they were at enmity. For it became Him who was on the eve of making peace between earth and heaven, to make the very men who condemned Him the first to be at peace; for the Lord Himself was there present, who reconciles the hearts of the princes of the earth. Mark the exactness of the Prophets, and their true testimony. 15. Look with awe then at the Lord who was judged. He suffered Himself to be led and carried by soldiers. Pilate sat in judgment, and He who sits on the right hand of the Father, stood and was judged. The people whom He had redeemed from the land of Egypt, and oftimes from other places, shouted against Him, Away with Him, away with Him, crucify Him. Joshua 19:15 Wherefore, O you Jews? Because He healed your blind? Or because He made your lame to walk, and bestowed His other benefits? So that the Prophet in amazement speaks of this too, Against whom have you opened your mouth, and against whom have you let loose your tongue Isaiah 57:4? And the Lord Himself says in the Prophets, Mine heritage became unto Me as a lion in the forest; it gave its voice against Me; therefore have I hated it. Jeremiah 12:8 I have not refused them, but they have refused Me; in consequence thereof I say, I have forsaken My house. 16. When He was judged, He held His peace; so that Pilate was moved for Him, and said, Hearest Thou not what these witness against You Matthew 27:13? Not that He knew Him who was judged, but he feared his own wife’s dream which had been reported to him. And Jesus held His peace. The Psalmist says, And I became as a man that hears not; and in whose mouth are no reproofs ; and again, But I was as a deaf man and heard not; and as a dumb man that opens not his mouth. Thou hast before heard concerning this , if you remember. 17. But the soldiers who crowd around mock Him, and their Lord becomes a sport to them, and upon their Master they make jests. When they looked on Me, they shaked their heads. Yet the figure of kingly state appears; for though in mockery, yet they bend the knee. And the soldiers before they crucify Him, put on Him a purple robe, and set a crown on His head; for what though it be of thorns? Every king is proclaimed by soldiers; and Jesus also must in a figure be crowned by soldiers; so that for this cause the Scripture says in the Canticles, Go forth, O you daughters of Jerusalem, and look upon King Solomon in the crown wherewith His mother crowned Him. Song of Songs 3:11 And the crown itself was a mystery; for it was a remission of sins, a release from the curse. 18. Adam received the sentence, Cursed is the ground in your labours; thorns and thistles shall it bring forth to you. For this cause Jesus assumes the thorns, that He may cancel the sentence; for this cause also was He buried in the earth, that the earth which had been cursed might receive the blessing instead of a curse. At the time of the sin, they clothed themselves with fig-leaves; for this cause Jesus also made the fig-tree the last of His signs. For when about to go to His passion, He curses the fig-tree, not every fig-tree, but that one alone, for the sake of the figure; saying, No more let any man eat fruit of you Mark 11:1; let the doom be cancelled. And because they aforetime clothed themselves with fig-leaves, He came at a season when food was not wont to be found on the fig-tree. Who knows not that in winter-time the fig-tree bears no fruit, but is clothed with leaves only? Was Jesus ignorant of this, which all knew? No, but though He knew, yet He came as if seeking; not ignorant that He should not find, but showing that the emblematical curse extended to the leaves only. 19. And since we have touched on things connected with Paradise, I am truly astonished at the truth of the types. In Paradise was the Fall, and in a Garden was our Salvation. From the Tree came sin, and until the Tree sin lasted. In the evening, when the Lord walked in the Garden, they hid themselves Genesis 3:8; and in the evening the robber is brought by the Lord into Paradise. But some one will say to me, You are inventing subtleties; show me from some prophet the Wood of the Cross; unless you give me a testimony from a prophet, I will not be persuaded. Hear then from Jeremias, and assure yourself; I was like a harmless lamb led to be slaughtered; did I not know it ? (for in this manner read it as a question, as I have read it; for He who said, You know that after two days comes the passover, and the Son of Man is betrayed to be crucified Matthew 26:2, did He not know?) I was like a harmless lamb led to be slaughtered; did I not know it? (but what sort of lamb? Let John the Baptist interpret it, when he says, Behold the Lamb of God, that takes away the sin of the world John 1:29.) They devised against Me a wicked device, saying Jeremiah 11:19 — (He who knows the devices, knew He not the result of them? And what said they? )— Come, and let us place a beam upon His bread — (and if the Lord reckon you worthy, you shall hereafter learn, that His body according to the Gospel bore the figure of bread;)— Come then, and let us place a beam upon His bread, and cut Him off out of the land of the living;— (life is not cut off, why do you labour for nought? )— And His name shall be remembered no more. Vain is your counsel; for before the sun His Name abides in the Church. And that it was Life, which hung on the Cross, Moses says, weeping, And your life shall be hanging before your eyes; and you shall be afraid day and night, and you shall not trust your life. Deuteronomy 28:66 And so too, what was just now read as the text, Lord, who has believed our report? 20. This was the figure which Moses completed by fixing the serpent to a cross, that whoso had been bitten by the living serpent, and looked to the brasen serpent, might be saved by believing. Does then the brazen serpent save when crucified, and shall not the Son of God incarnate save when crucified also? On each occasion life comes by means of wood. For in the time of Noe the preservation of life was by an ark of wood. In the time of Moses the sea, on beholding the emblematical rod, was abashed at him who smote it; is then Moses’ rod mighty, and is the Cross of the Saviour powerless? But I pass by the greater part of the types, to keep within measure. The wood in Moses’ case sweetened the water; and from the side of Jesus the water flowed upon the wood. There are times when I question why I continue to blog. It has only really benefited me spiritually (not to say that this is a minor thing). Rather, most of the benefit to be gained there has already accumulated. Otherwise it hasn’t really been of great help to me. Certainly not in terms of my major goals. Not to mention that I am second-guessing myself more often than not these days. Sometimes I wonder if I should just shut it down. Sentiments such as these are why I appreciate hearing from those who have been helped by my blog. The other day someone contacted me, thanking me for the effort I put into my work. It wasn’t someone I expected to reach out to me, and the message wasn’t what I was expecting, but sometimes it is a good thing when your expectations are defied. Stories like what I was told are what keep me blogging. Even if I can’t help myself, I can still help others. And that is worth the effort this blog requires. As the title says, sometimes its the little things in life that make it worth continuing on. 4 “I tell you, my friends, do not fear those who kill the body, and after that have no more that they can do. 5 But I will warn you whom to fear: fear him who, after he has killed, has power to cast into hell; yes, I tell you, fear him! 6 Are not five sparrows sold for two pennies? And not one of them is forgotten before God. 7 Why, even the hairs of your head are all numbered. Fear not; you are of more value than many sparrows. 8 “And I tell you, every one who acknowledges me before men, the Son of man also will acknowledge before the angels of God; 9 but he who denies me before men will be denied before the angels of God. I think that in the coming years a lot of Christians are going to have to decide whether or not to acknowledge Jesus before men. For a long time here in the West the cost of that has been low. This is changing now, and when the cost is high I think we shall see the chaff and the wheat sort themselves out. 20 Brethren, do not be children in your thinking; be babes in evil, but in thinking be mature. 21 In the law it is written, “By men of strange tongues and by the lips of foreigners will I speak to this people, and even then they will not listen to me, says the Lord.” 22 Thus, tongues are a sign not for believers but for unbelievers, while prophecy is not for unbelievers but for believers. 23 If, therefore, the whole church assembles and all speak in tongues, and outsiders or unbelievers enter, will they not say that you are mad? 24 But if all prophesy, and an unbeliever or outsider enters, he is convicted by all, he is called to account by all, 25 the secrets of his heart are disclosed; and so, falling on his face, he will worship God and declare that God is really among you. For those who are new to the Church, the Latin Mass can be a difficult hurdle. Not impossible, of course. But I think that the option of a Mass in the vernacular can help the Church reach a lot more people. When Samuel became old, he made his sons judges over Israel. 2 The name of his first-born son was Jo′el, and the name of his second, Abi′jah; they were judges in Beer-sheba. 3 Yet his sons did not walk in his ways, but turned aside after gain; they took bribes and perverted justice. The story of Israel and its kings is a tragedy through and through. They demand one, and when they finally get a kingly dynasty, they rebel within three generations. And before long they lose the monarchy completely. Then they spend centuries lamenting this and praying for a restoration of the monarchy. They plead with God to restore a Son of David to the Throne. And then, when the heir to the Davidic throne finally revealed himself… they put Him to death. Such is human nature. When we finally get what we think we wanted, we are seldom happy with it. 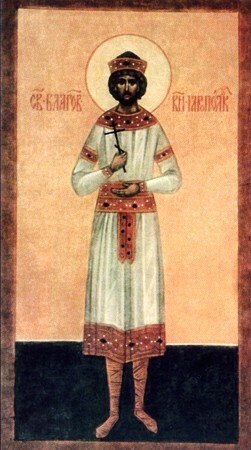 Xenophon of Robeika (Russian: Ксенофонт Робейский – Xenofont Robeysky; died June 28, 1262) was a Russian Orthodox monk, later declared a saint. A student of Barlaam of Khutyn, he later became abbot of the Khutyn Monastery. Resigning from this post, he later founded the Trinity Monastery on the Robeika River (ru), close to Novgorod; he died there in 1262. 18. But again you ask yet another testimony of the time. The Lord said unto Me, You are My Son; this day have I begotten You: and a few words further on, You shall rule them with a rod of iron. I have said before that the kingdom of the Romans is clearly called a rod of iron; but what is wanting concerning this let us further call to mind out of Daniel. For in relating and interpreting to Nebuchadnezzar the image of the statue, he tells also his whole vision concerning it: and that a stone cut out of a mountain without hands, that is, not set up by human contrivance, should overpower the whole world: and he speaks most clearly thus; And in the days of those kingdoms the God of heaven shall set up a kingdom, which shall never be destroyed, and His kingdom shall not be left to another people Daniel 2:44 . 19. But we seek still more clearly the proof of the time of His coming. For man being hard to persuade, unless he gets the very years for a clear calculation, does not believe what is stated. What then is the season, and what the manner of the time? It is when, on the failure of the kings descended from Judah, Herod a foreigner succeeds to the kingdom? The Angel, therefore, who converses with Daniel says, and do thou now mark the words, And you shall know and understand: From the going forth of the word for making answer , and for the building of Jerusalem, until Messiah the Prince are seven weeks and three score and two weeks. Daniel 9:25 Now three score and nine weeks of years contain four hundred and eighty-three years. He said, therefore, that after the building of Jerusalem, four hundred and eighty-three years having passed, and the rulers having failed, then comes a certain king of another race, in whose time the Christ is to be born. Now Darius the Mede built the city in the sixth year of his own reign, and first year of the 66th Olympiad according to the Greeks. Olympiad is the name among the Greeks of the games celebrated after four years, because of the day which in every four years of the sun’s courses is made up of the three (supernumerary) hours in each year. And Herod is king in the 186th Olympiad, in the 4th year thereof. Now from the 66th to the 186th Olympiad there are 120 Olympiads intervening, and a little over. So then the 120 Olympiads make up 480 years: for the other three years remaining are perhaps taken up in the interval between the first and fourth years. And there you have the proof according to the Scripture which says, From the going forth of the word that Jerusalem be restored and built until Messiah the Prince are seven weeks and sixty-two weeks. Of the times, therefore, you have for the present this proof, although there are also other different interpretations concerning the aforesaid weeks of years in Daniel. 20. But now hear the place of the promise, as Micah says, And thou, Bethlehem, house of Ephrathah, are you little to be among the thousands of Judah? For out of you shall come forth unto Me a ruler, to be governor in Israel: and His goings forth are front the beginning, from the days of eternity. But assuredly as to the places, thou being an inhabitant of Jerusalem, know also beforehand what is written in the hundred and thirty-first psalm. Lo! We heard of it at Ephrathah, we found it in the plains of the wood . For a few years ago the place was woody. Again you have heard Habakkuk say to the Lord, When the years draw near, you shall be made known, when the time has come, you shall be shown. And what is the sign, O Prophet, of the Lord’s coming? And presently he says, In the midst of two lives shall you be known , plainly saying this to the Lord, Having come in the flesh you live and diest, and after rising from the dead you live again. Further, from what part of the region round Jerusalem comes He? From east, or west, or north, or south? Tell us exactly. And he makes answer most plainly and says, God shall come from Teman (now Teman is by interpretation ‘south’) and the Holy One from Mount Paran , shady, woody: what the Psalmist spoke in like words, We found it in the plains of the wood. 21. We ask further, of whom comes He and how? And this Esaias tells us: Behold! The virgin shall conceive in her womb, and shall bring forth a Son, and they shall call His name Emmanuel. This the Jews contradict, for of old it is their wont wickedly to oppose the truth: and they say that it is not written the virgin, but the damsel. But though I assent to what they say, even so I find the truth. For we must ask them, If a virgin be forced, when does she cry out and call for helpers, after or before the outrage? If, therefore, the Scripture elsewhere says, The betrothed damsel cried, and there was none to save her Deuteronomy 22:27, does it not speak of a virgin? But that you may learn more plainly that even a virgin is called in Holy Scripture a damsel, hear the Book of the Kings, speaking of Abishag the Shunamite, And the damsel was very fair : for that as a virgin she was chosen and brought to David is admitted. 22. But the Jews say again, This was said to Ahaz in reference to Hezekiah. Well, then, let us read the Scripture: Ask you a sign of the Lord your God, in the depth or in the height. Isaiah 7:11 And the sign certainly must be something astonishing. For the water from the rock was a sign, the sea divided, the sun turning back, and the like. But in what I am going to mention there is still more manifest refutation of the Jews. (I know that I am speaking at much length, and that my hearers are wearied: but bear with the fullness of my statements, because it is for Christ’s sake these questions are moved, and they concern no ordinary matters.) Now as Isaiah spoke this in the reign of Ahaz, and Ahaz reigned only sixteen years, and the prophecy was spoken to him within these years, the objection of the Jews is refuted by the fact that the succeeding king, Hezekiah, son of Ahaz, was twenty-five years old when he began to reign: for as the prophecy is confined within sixteen years, he must have been begotten of Ahaz full nine years before the prophecy. What need then was there to utter the prophecy concerning one who had been already begotten even before the reign of father Ahaz ? For he said not, has conceived, but the virgin shall conceive, speaking as with foreknowledge. 23. We know then for certain that the Lord was to be born of a Virgin, but we have to show of what family the Virgin was. The Lord swore in truth unto David, and will not set it aside. Of the fruit of body will I set upon your throne : and again, seed will I establish for ever, and his throne as the days of heaven. And afterwards, Once have I sworn by My holiness that I will not lie unto David. His seed shall endure for ever, and his throne as the sun before Me, and as the moon established for ever. You see that the discourse is of Christ, not of Solomon. For Solomon’s throne endured not as the sun. But if any deny this, because Christ sat not on David’s throne of wood, we will bring forward that saying, The Scribes and the Pharisees sit in Moses’ seat Matthew 23:2: for it signifies not his wooden seat, but the authority of his teaching. In like manner then I would have you seek for David’s throne not the throne of wood, but the kingdom itself. Take, too, as my witnesses the children who cried aloud, Hosanna to the Son of David , blessed is the King of Israel. John 12:13 And the blind men also say, Son of David, have mercy on us. Matthew 20:30 Gabriel too testifies plainly to Mary, saying, And the Lord God shall give unto Him the throne of His father David. Luke 1:32 Paul also says, Remember Jesus Christ raised from the dead, of the seed of David, according to my Gospel 2 Timothy 2:8: and in the beginning of the Epistle to the Romans he says, Which was made of the seed of David according to the flesh. Romans 1:3 Receive thou therefore Him that was born of David, believing the prophecy which says, And in that day there shall be a root of Jesse, and He that shall rise to rule over the Gentiles: in Him shall the Gentiles trust. 24. But the Jews are much troubled at these things. This also Isaiah foreknew, saying, And they shall wish that they had been burnt with fire: for unto us a child is born (not unto them), unto us a Son is given. Isaiah 9:5 Mark thou that at first He was the Son of God, then was given to us. And a little after he says, And of His peace there is no bound. The Romans have bounds: of the kingdom of the Son of God there is no bound. The Persians and the Medes have bounds, but the Son has no bound. Then next, upon the throne of David, and upon his kingdom to order it. The Holy Virgin, therefore, is from David. 25. For it became Him who is most pure, and a teacher of purity, to have come forth from a pure bride-chamber. For if he who well fulfils the office of a priest of Jesus abstains from a wife, how should Jesus Himself be born of man and woman? For thou, says He in the Psalms, art He that took Me out of the womb. Mark that carefully, He that took Me out of the womb, signifying that He was begotten without man, being taken from a virgin’s womb and flesh. For the manner is different with those who are begotten according to the course of marriage. 26. And from such members He is not ashamed to assume flesh, who is the framer of those very members. But then who tells us this? The Lord says unto Jeremiah: Before I formed you in the belly, I knew you: and before you came forth out of the womb, I sanctified you. Jeremiah 1:5 If, then, in fashioning man He was not ashamed of the contact, was He ashamed in fashioning for His own sake the holy Flesh, the veil of His Godhead? It is God who even now creates the children in the womb, as it is written in Job, Have you not poured me out as milk, and curdled me like cheese? You have clothed me with skin and flesh, and hast knit me together with bones and sinews. Job 10:10-11 There is nothing polluted in the human frame except a man defile this with fornication and adultery. He who formed Adam formed Eve also, and male and female were formed by God’s hands. None of the members of the body as formed from the beginning is polluted. Let the mouths of all heretics be stopped who slander their bodies, or rather Him who formed them. But let us remember Paul’s saying, Do you not know that your bodies are the temples of the Holy Ghost which is in you 1 Corinthians 6:19? And again the Prophet has spoken before in the person of Jesus, My flesh is from them : and in another place it is written, Therefore will He give them up, until the time that she brings forth. Micah 5:3 And what is the sign? He tells us in what follows, She shall bring forth, and the remnant of their brethren shall return. And what are the nuptial pledges of the Virgin, the holy bride? And I will betroth you unto Me in faithfulness. Hosea 2:20 And Elizabeth, talking with Mary, speaks in like manner: And blessed is she that believed; for there shall be a performance of those things which were told her from the Lord Luke 1:45 . 27. But both Greeks and Jews harass us and say that it was impossible for the Christ to be born of a virgin. As for the Greeks we will stop their mouths from their own fables. For you who say that stones being thrown were changed into men , how do you say that it is impossible for a virgin to bring forth? You who fable that a daughter was born from the brain , how do you say that it is impossible for a son to have been born from a virgin’s womb? You who falsely say that Dionysus was born from the thigh of your Zeus , how set ye at nought our truth? I know that I am speaking of things unworthy of the present audience: but in order that you in due season may rebuke the Greeks, we have brought these things forward answering them from their own fables. 28. But those of the circumcision meet thou with this question: Whether is harder, for an aged woman, barren and past age, to bear, or for a virgin in the prime of youth to conceive? Sarah was barren, and though it had ceased to be with her after the manner of women, yet, contrary to nature, she bore a child. If, then, it is against nature for a barren woman to conceive, and also for a virgin, either, therefore, reject both, or accept both. For it is the same God who both wrought the one and appointed the other. For you will not dare to say that it was possible for God in that former case, and impossible in this latter. And again: how is it natural for a man’s hand to be changed in a single hour into a different appearance and restored again? How then was the hand of Moses made white as snow, and at once restored again? But you say that God’s will made the change. In that case God’s will has the power, and has it then no power in this case? That moreover was a sign concerning the Egyptians only, but this was a sign given to the whole world. But whether is the more difficult, O you Jews? For a virgin to bear, or for a rod to be quickened into a living creature? You confess that in the case of Moses a perfectly straight rod became like a serpent, and was terrible to him who cast it down, and he who before held the rod fast, fled from it as from a serpent; for a serpent in truth it was: but he fled not because he feared that which he held, but because he dreaded Him that had changed it. A rod had teeth and eyes like a serpent: do then seeing eyes grow out of a rod, and cannot a child be born of a virgin’s womb, if God wills? For I say nothing of the fact that Aaron’s rod also produced in a single night what other trees produce in several years. For who knows not that a rod, after losing its bark, will never sprout, not even if it be planted in the midst of rivers? But since God is not dependent on the nature of trees, but is the Creator of their natures, the unfruitful, and dry, and barkless rod budded, and blossomed, and bare almonds. He, then, who for the sake of the typical high-priest gave fruit supernaturally to the rod, would He not for the sake of the true High-Priest grant to the Virgin to bear a child? 29. These are excellent suggestions of the narratives: but the Jews still contradict, and do not yield to the statements concerning the rod, unless they may be persuaded by similar strange and supernatural births. Question them, therefore, in this way: of whom in the beginning was Eve begotten? What mother conceived her the motherless? But the Scripture says that she was born out of Adam’s side. Is Eve then born out of a man’s side without a mother, and is a child not to be born without a father, of a virgin’s womb? This debt of gratitude was due to men from womankind: for Eve was begotten of Adam, and not conceived of a mother, but as it were brought forth of man alone. Mary, therefore, paid the debt, of gratitude, when not by man but of herself alone in an immaculate way she conceived of the Holy Ghost by the power of God. 30. But let us take what is yet a greater wonder than this. For that of bodies bodies should be conceived, even if wonderful, is nevertheless possible: but that the dust of the earth should become a man, this is more wonderful. That clay moulded together should assume the coats and splendours of the eyes, this is more wonderful. That out of dust of uniform appearance should be produced both the firmness of bones, and the softness of lungs, and other different kinds of members, this is wonderful. That clay should be animated and travel round the world self moved, and should build houses, this is wonderful. That clay should teach, and talk, and act as carpenter, and as king, this is wonderful. Whence, then, O you most ignorant Jews, was Adam made? Did not God take dust from the earth, and fashion this wonderful frame? Is then clay changed into an eye, and cannot a virgin bear a son. Does that which for men is more impossible take place, and is that which is possible never to occur? 31. Let us remember these things, brethren: let us use these weapons in our defence. Let us not endure those heretics who teach Christ’s coming as a phantom. Let us abhor those also who say that the Saviour’s birth was of husband and wife; who have dared to say that He was the child of Joseph and Mary, because it is written, And he took unto him his wife. Matthew 1:24 For let us remember Jacob who before he received Rachel, said to Laban, Give me my wife. Genesis 29:21 For as she before the wedded state, merely because there was a promise, was called the wife of Jacob, so also Mary, because she had been betrothed, was called the wife of Joseph. Mark also the accuracy of the Gospel, saying, And in the sixth month the Angel Gabriel was sent from God unto a city of Galilee, named Nazareth, to a virgin espoused to a man whose name was Joseph Luke 1:26-27, and so forth. And again when the census took place, and Joseph went up to enrol himself, what says the Scripture? And Joseph also went up from Galilee, to enrol himself with Mary who was espoused to him, being great with child. For though she was with child, yet it said not with his wife, but with her who was espoused to him. For God sent forth His Son, says Paul, not made of a man and a woman, but made of a woman Galatians 4:4 only, that is of a virgin. For that the virgin also is called a woman, we showed before. For He who makes souls virgin, was born of a Virgin. 32. But you wonder at the event: even she herself who bare him wondered at this. For she says to Gabriel, How shall this be to me, since I know not a man? But he says, The Holy Ghost shall came upon you, and the power of the Highest shall overshadow you: wherefore also the holy thing which is to be born shall be called the Son of God. Luke 1:34-35 Immaculate and undefiled was His generation: for where the Holy Spirit breathes, there all pollution is taken away: undefiled from the Virgin was the incarnate generation of the Only-begotten. And if the heretics gainsay the truth, the Holy Ghost shall convict them: that overshadowing power of the Highest shall wax angry: Gabriel shall stand face to face against them in the day of judgment: the place of the manger, which received the Lord, shall put them to shame. The shepherds, who then received the good tidings, shall bear witness; and the host of the Angels who sang praises and hymns, and said, Glory to God in the highest, and on earth peace among men of His good pleasure Luke 2:14: the Temple into which He was then carried up on the fortieth day: the pairs of turtle-doves, which were offered on His behalf : and Symeon who then took Him up in his arms, and Anna the prophetess who was present. 33. Since God then bears witness, and the Holy Ghost joins in the witness, and Christ says, Why do you seek to kill me, a man who has told you the truth ? Let the heretics be silenced who speak against His humanity, for they speak against Him, who says, Handle me, and see; for a spirit has not flesh and bones, as you see me have. Luke 24:39 Adored be the Lord the Virgin-born, and let Virgins acknowledge the crown of their own state: let the order also of Solitaries acknowledge the glory of chastity for we men are not deprived of the dignity of chastity. In the Virgin’s womb the Saviour’s period of nine months was passed: but the Lord was for thirty and three years a man: so that if a virgin glories because of the nine months, much more we because of the many years. 34. But let us all by God’s grace run the race of chastity, young men and maidens, old men and children ; not going after wantonness, but praising the name of Christ. Let us not be ignorant of the glory of chastity: for its crown is angelic, and its excellence above man. Let us be chary of our bodies which are to shine as the sun: let us not for short pleasure defile so great, so noble a body: for short and momentary is the sin, but the shame for many years and for ever. Angels walking upon earth are they who practise chastity: the Virgins have their portion with Mary the Virgin. Let all vain ornament be banished, and every hurtful glance, and all wanton gait, and every flowing robe, and perfume enticing to pleasure. But in all for perfume let there be the prayer of sweet odour, and the practice of good works, and the sanctification of our bodies: that the Virgin-born Lord may say even of us, both men who live in chastity and women who wear the crown, I will dwell in them; and walk in them, and I will be their God, and they shall be My people. 2 Corinthians 6:16 To whom be the glory for ever and ever. Amen.